Relational Databases are inflexible due to the rigid constraints of the relational data model. If you have new data that doesn’t fit your schema, you will need to alter your schema (add a column or a new table). This is a task that is not always possible: IT departments don't have time, or they won't allow it -- just more nulls that can lead to query performance degradation, etc. A goal of graph databases is to address this problem with their schema-less graph data model. However, many businesses have large investments in commercial RDBMS's, and their associated applications, and can't expect to move all of their data to a graph database. In this talk, I will present a multi-model graph/relational architecture solution: keep your relational data where it is, virtualize it as a graph, and then connect it with additional data stored in a graph database. This way, both graph and relational technologies can seamlessly interact together. Dr. Juan Sequeda is the co-founder and Senior Vice President of Technical Sales and Research of Capsenta, and the Senior Director of Capsenta Labs. He holds a PhD in Computer Science from the University of Texas at Austin. His research interests are on the intersection between Relational Databases and Semantic Web for Data Integration. Juan is the inventor of Ultrawrap, a patented system which virtualizes relational databases as Semantic Web graph data sources, which spun-off into Capsenta. 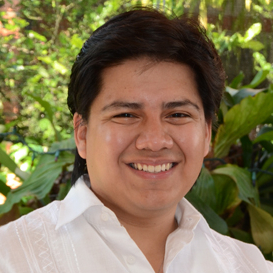 Juan is the recipient of the NSF Graduate Research Fellowship, 2nd Place in the 2013 Semantic Web Challenge for his work on ConstituteProject.org, Best Student Research Paper at the 2014 International Semantic Web Conference and the 2015 Best Transfer and Innovation Project awarded by Institute for Applied Informatics. Juan is on the editorial board of the Journal of Web Semantics and has been an invited expert member and standards editor for the W3C Relational Database to RDF working group.